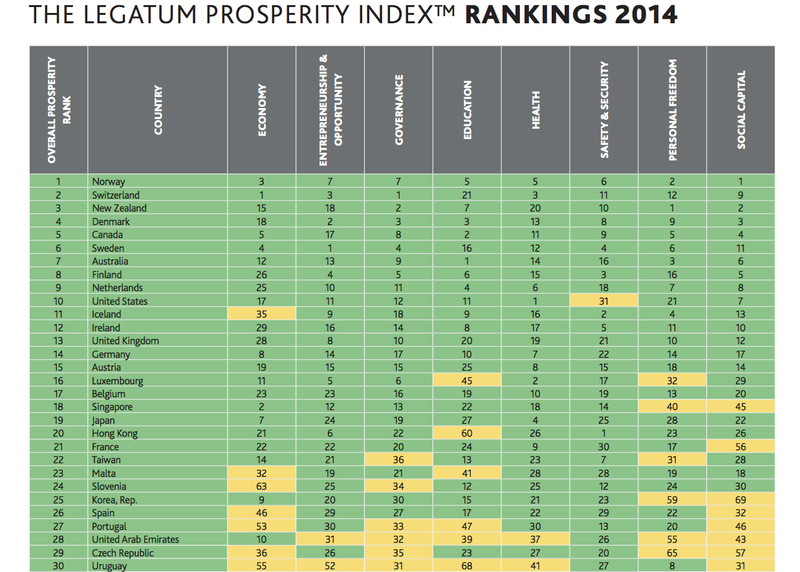 According to Legatum Institute’s annual Prosperity Index, Norway is still the most prosperous nation in the world. For the sixth year in a row, the Scandinavian country claims the top spot over 142 countries, which account for 96% of the world’s population and 99% of global GDP. 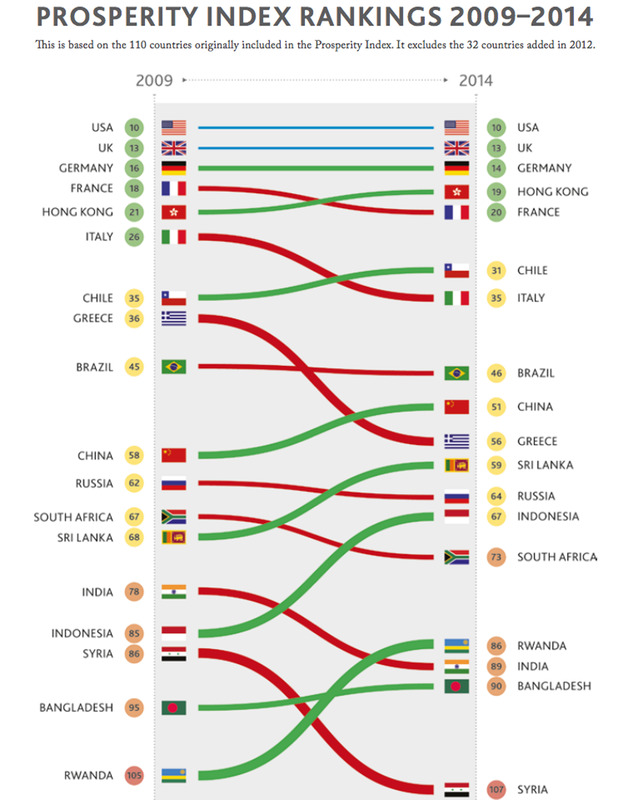 The Prosperity Index measures countries based on 89 different economic analysis variables that measure success in industry, education, health, freedom, opportunity, and social capital. 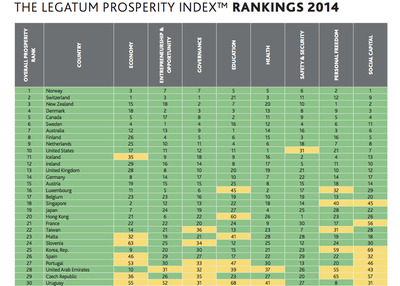 Of the top 30 nations listed, almost two thirds are European. 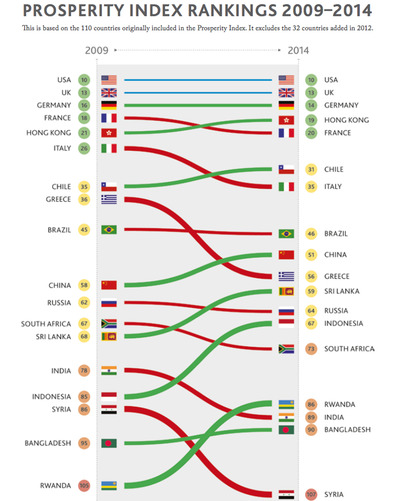 The US ranks 10th overall and is followed closely by the United Kingdom (13th) and Germany (14th).